We want to give you two good reasons to be proud of yourself. Two new projects that we have been able to start in past few months. Thanks to your continued generosity Amani is growing. Together, we are able to help more children, in ever better ways. 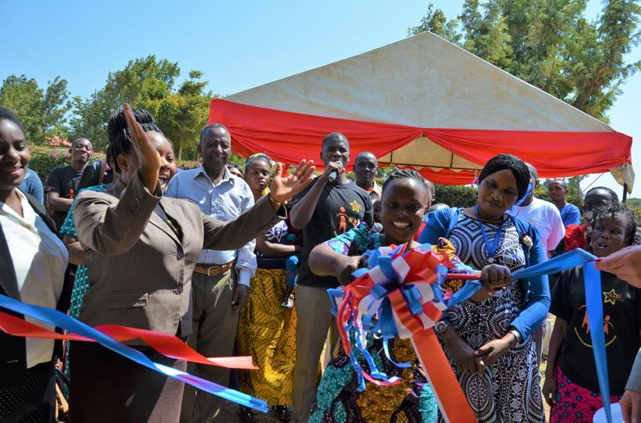 On 6th of May 2016 we inaugurated the Youth Transition Houses and opened a complete new chapter in the history of Amani Children’s Home. The new project has been named “Tunaimarika: Amani Youth Growing Strong”. It will help the Amani youth – especially those who don’t have families to be reunited with – start a successful independent life. Two months later, in July 2016, we had the official inauguration of the first-ever Amani Branch in the remote city of Singida. Ten members of the Moshi team traveled to the city to share this happy moment with the new Singida team. It was great to see how much the staff achieved in Singida in only a few months. The children’s performances were the highlight of the day. Thanks to them, everyone – staff, guests and children – had a great time. Next Amani supporters have been BUSY!